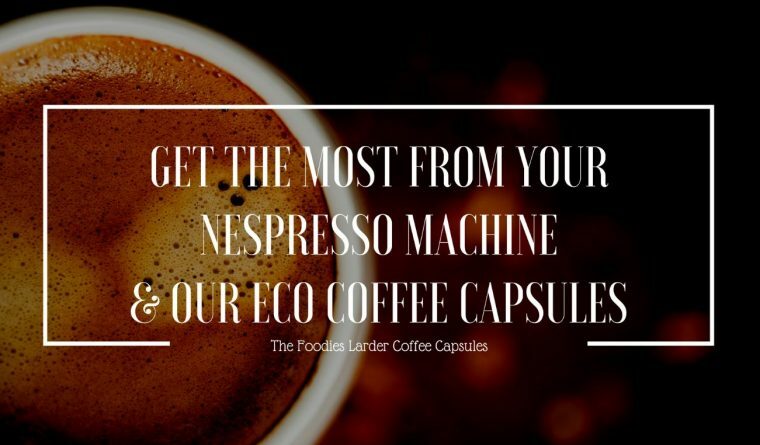 If you’ve bought some of our Compostable Nespresso Compatible Premium Coffee Capsules then we’d wholeheartedly recommend taking a few minutes to get the most enjoyment from every cup. In particular, a good clean will solve almost all issues you might experience when using any non-Nespresso capsule. 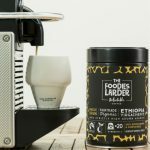 But we also have few other recommendations, so grab a mug of the good stuff and harness our top tips and tricks for getting the most from your machine and our capsules. This is one of the easiest yet most important tricks to getting the best from our capsules, or any coffee capsule in fact. Over time and with regular use your Nespresso machine will experience a build up of old coffee oils and residue in its brewing chamber. This is where old coffee residue sits, blocking the nozzle and making your coffee taste bitter and your coffee flow poor. Each time you use a capsule you also leave behind a layer of oil in the machine, where flushing with water alone does not help. The following images show just how much build up there can be in a Nespresso machine and why capsule might not fit in the chamber as they should. This can also mean the pressurised water being forced through the capsule will end up leaking around the side and dripping out from the capsule area. Not only that, but you can also get a build up of bacteria, mould and yeast on the washer plate and the inside nozzle, the areas where your coffee gets brewed and then dispensed into your cup. So cleaning your Nespresso machine is one of the best ways to improve the taste and extraction of your coffee. So a top tip is to clean your machine after each use by removing the spent capsules and running water through the flow system so that it’s ready for when you next want to use it. Then on a regular basis, every couple of months, use a cleaning capsule such as those from Caffenu to properly clean your brewing chamber and make sure all the build-up is being removed (don’t forget to strip the used Caffenu capsule and put the plastic in recycling though!). Not only will regular Nespresso machine cleaning help ensure the longevity of your machine, but it will also ensure the perfect mug of capsule coffee each and every brew! I had earlier posted a comment that these pods didn’t work in my machine. However…following contact with the seller…it became apparent that the problem lay with my machine. Following their excellent advice on how best to clean the machine of all residue oils etc. I was able to clean my machine thoroughly and the results were dramatic. Not only do the pods work in my machine, but the resultant drink is excellent. It is a bonus also that these pods are biodegradable. Excellent after sales service from the seller. Highly recommended. This is simple yet unbelievably effective and also allows you to pre-heat your glass or cup. So before popping a new capsule in your machine, simply brew some water through it (ensuring there’s no old capsule in the chamber) by running it through on the lungo setting, with the lid down. This will help flush out any old coffee residue as well as heat up the capsule contact points. Warming the machine components properly, enables easier pod piercing (our cornstarch capsules are slightly harder to pierce than thin Nespresso aluminium) and helps regulate the amount of coffee that flows out, meaning a smoother pour, more coffee in your cup and your coffee tastes as good as it should! Descaling is also a crucial element when looking after your coffee equipment, working on the pump and pipes of your coffee machine rather than the brewing chamber and nozzle. But why is it important? Well water hardness is the term for the calcium or magnesium carbonate dissolved in water and although there are no health hazards associated with water hardness, it causes scale, as well as scumming and can lead to a build up in deposits of calcium and lime in your machine. Because very soft waters, exposed to air or heat, become acidic and corrosive and can harshen the taste of food and drink, several countries including the UK and Germany have issued recommended hardness ranges, usually around 80 to 100mg/l hardness. And that’s pretty good news for us as taste testing by various authorities over the past twenty years has established a rough agreement that neutral pH water with 90 mg/l hardness is optimal for coffee taste. So if you’re using hard water, give your machine a bit of TLC and take 20 minutes every month or two to clean and descale it. Like any appliance, your Nespresso machine needs some maintenance to extend its life and maximize performance, thus ensuring your coffee tastes even better. 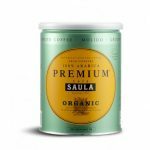 Purchase descaling liquid or sachets – we’d recommend the organic certified Cafetto@Home eco pod/capsule coffee machine cleaner available on Amazon. Empty your machine & drip tray. Place a large container under your outlet. Pour water, mixed with descaling solution into your machine. Start descaling mode on your machine (check your product manual for specific instructions for your machine). Empty and clean out your water tank. Refill with fresh water, and run through your machine. Clear out your drip tray. Disable descaling mode on your machine. 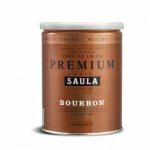 You’ve gone and bought yourself some delicious specialty coffee so it makes sense to ensure the other ingredient in your brew is of the highest quality too. If buying bottled water is too expensive an option, the alternative is to invest in a water filter jug and filter your water before adding it the water tank. A Brita jug filter for example, not only removes chlorine, odours and sediment but also helps to reduce the hardness of water. 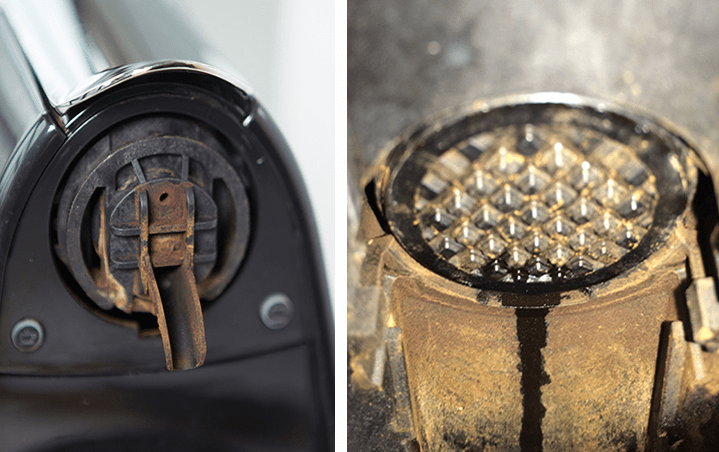 If you live in an area with particularly hard water, this will help prevent limescale build-up in your machine, which will give you a better tasting coffee for a longer time. Place you favourite glass/cup beneath the spout of your machine. Press, and hold, the brew button (ristretto, espresso or lungo). Let go of the brew button when the right amount of liquid has been produced. Now every time you press the brew button it will pour your perfect amount of liquid. Firstly, observe the red/brown shade: this is the ristretto which gives your coffee sweetness and body. Next, see how it changes to caramel: this gives the coffee its balance and is the main ‘espresso’ section of the pour. Finally, as soon as the espresso turns blonde, kill the water flow: the light yellow colour coming through is only extracted bitter water. The great thing is, once you’ve gone through all this, the machine will remember your settings for next time, so there’s no need to keep reprogramming it. These top tips will hopefully help you get the most from your Nespresso machine. Let us know how you get on or indeed whether you’ve got any tips or tricks that we haven’t mentioned that have helped you perfect your Nespresso machine experience. « Bling your tin…or let your kids loose on them!